People of all ages enjoy treasure hunting with a metal detector. If you are thinking of purchasing one for a child, however, some detectors are better suited to children or teens. The following metal detectors for kids that we recommend in this article (below, we recommend detectors based on a handful childhood age ranges) will be so easy to operate that they can be unpacked and taken outside almost immediately. 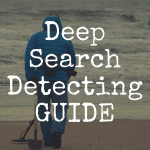 You and your kids and be searching and detecting treasure in no time! 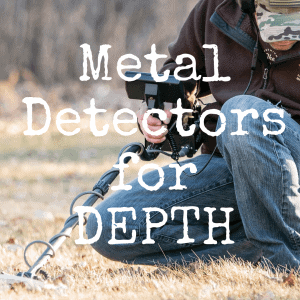 Before you start your search for a metal detector for the child or teen in your life, there are some things you need to decide so you are sure to get the top metal detector you can find. 1) What does the child or teenager ultimately want to search for? Much of this will depend on the age of the child. A young child will be excited to find anything and the worth of the object will likely be more connected to the fun day they had with you, digging in the dirt.Older children and teenagers know that jewelry and coins can have value and it is likely they will want to search for something they can make money with. Remember, though, that a person who loves history may want to look for relics. It is best to talk to the child you are going to be treasure hunting with. 2) Where will you be going? If you plan to search anywhere near water, you need to be sure the metal detector you choose is waterproof. Even waterproof detectors are only good for a certain depth so if you plan to dive and search, you will need one that is safe for those depths. 3) What skill level does the child/teen have? Is the child able to study LCD displays or would it be better for them to just hear a tone when metal is found? Again, consider the age of the person you are purchasing this for. Older kids will enjoy watching the display, while younger ones will likely just want to hear the tone.Would a simple, one-dial detector be a good option or does the child have the ability to change and understand different settings? 4) Can the child study an operation guide or should it be one that they can pick up and use right away? Again, this depends on the skill level and maturity of the child. 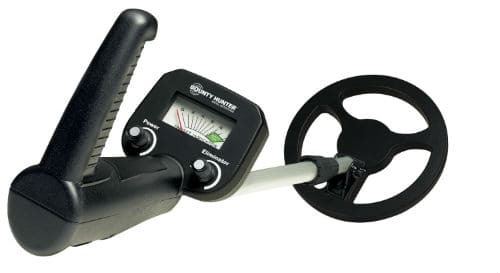 As you start your search, there are many websites that offer junior metal detector reviews that can help you narrow down your choices before you go to the store. Buying online may seem easier, but actually holding one in the store will give you a better idea of whether your child will be able to use it. If that’s not an option, please read below to get a great idea of which detector might be based for your child based on his or her age. 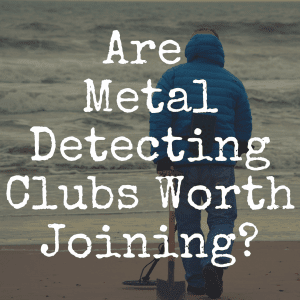 Most children under age eight will consider their metal detector a toy more than a tool to find valuable objects. That doesn’t mean you should buy a toy detector, only that you probably don’t want to spend a lot of money on bells and whistles the child won’t be interested in or appreciate. For a kid of this age, there are two models that are inexpensive that your child can use for many years to come. Check out the Elenco for a detector that is under $30 and is very simple to use. It only has two buttons to use, so any child can learn how to use it quickly. Another metal detector to think about is the Bounty Hunter Junior. 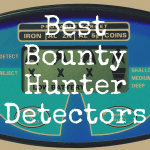 Bounty Hunter is a well-respected brand for metal detectors and this one has excellent construction. It also has a sensitivity and discrimination dial so your child can learn the differences in metals as he or she matures. When you are considering purchasing a metal detector for a child this age, you should think about buying one with a few more features that your child will enjoy. Remember, at this age, they know that coins have value and finding coins would be very exciting. You still don’t have to pay an outrageous price to get the child in your life a very nice metal detector that is more for dedicated treasure hunting than just something to play with. All of these metal detectors are designed to have the settings completed once and then they are ready to go. The Bounty Hunter TK4 Tracker IV is very reasonably priced and easy to use. It is lightweight at only 2.9 pounds and has automatic ground balancing. It also has three different modes – one for all metals, tone discrimination and full discrimination. This detector only has an eight inch coil, so it will be easy for smaller children to use it. Another great metal detector for kids of this age (and even older teens) is the Garrett Ace 150. Not only is it super light, but it has target ID and four sensitivity levels. Push button controls guarantee it is easy to use and it has a large LCD screen. There is a depth indicator so your child will know how deep to dig to find their treasure. It also has three modes (coins, all metals, and jewelry) so your newbie can set it to find just what they want to search for. For many teenagers, it’s all about the gadget and the things they can find that will make them some money. They grew up with technology and enjoy using it for everything. For a teen like this, the Fisher F2 is a great option. It has a large LCD screen with target ID that can be easily seen. Another feature is the “notching ability” of this detector. By using this, you can notch in or notch out certain metals, according to whether you want to find them or not. It has a depth indicator so your teen will know how deep their treasure is and it is reasonably priced. While a newbie can quickly learn how to use this detector, it has enough features that your teen will be satisfied using it for many, many years. 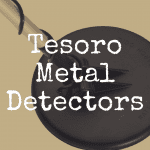 A teenager who really doesn’t care about fancy gadgets will enjoy using a Tesoro Compadre. This metal detector is very reasonably priced and one that can be used immediately. It only has one knob to worry about and is very sturdy. A lifetime warranty also comes with this detector. Many adults still choose to use this detector because it only weighs 2.2 pounds and is a wonderful device for not much money. All you need to do is turn the dial to what you are searching for and listen for the tone. Metal detecting is a wonderful hobby for people of all ages. Children who are introduced to it often continue the hobby into adulthood. Consider this when you are searching for the perfect metal detector for a child. Choose one that they can easily learn to use but that they can also use as they grow up and want more features in their metal detector. You won’t have to spend a ton of money to find one that is lightweight, inexpensive, easy to use and has the features they will want as they grow up. If this was helpful, please “like” our brand new Discover Detecting Facebook page! 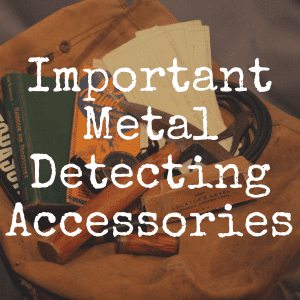 Please bookmark Discover Detecting for continued updates about metal detectors and the hobby at large.